Deep is the Founder and Group CEO of India’s leading online travel company, MakeMyTrip.com. Launched in India in 2005, MakeMyTrip (MMT) is today the largest travel company in the country. In August 2010, MMT became the first Indian travel company to list overseas through a highly successful IPO on NASDAQ. MMT has been consistently recognised among the ‘best companies to work for’ in India. In July 2016, it ranked as the No. 1 ecommerce company to work for by the Great Place to Work Institute, India. 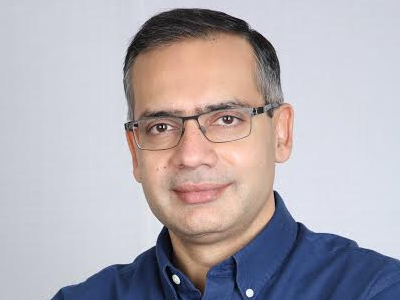 Having steered the MakeMyTrip business as CEO since its inception in 2000, Deep took on the role of Group CEO in August 2013, to focus on Strategy, M&A and international businesses. Deep was the President of The Indus Entrepreneurs (TiE), Delhi from 2013 – 15 and currently serves on their Board. Deep is a Founder of Ashoka University and serves on their Governing Council and Board. He is a founding member of “I am Gurgaon”, an NGO focussed on improving the quality of life in Gurgaon. Ernst & Young recognized Deep as Entrepreneur of the Year – Business Transformation (2011). In December 2012, Deep was recognized as the most powerful Digital influencer in India in a survey conducted by Impact magazine in association with KPMG India. Deep has been recognized as the Best Travel Entrepreneur of 2012 by TTG Asia at the TTG Travel Awards. IAMAI named him ‘Internet Man of the Year’ (2010). Deep was felicitated as a ‘Distinguished Alumni’ of IIM-A during the Institute’s Golden Jubilee celebrations in December 2011. Deep holds an MBA (PGDM) degree from IIM Ahmedabad and a Bachelor’s degree in Economics from St. Stephen’s College, Delhi.